no matter what the children around him did. I trust my son without a single strand of doubt bothering me ever. How did I develop such trust in my boy? 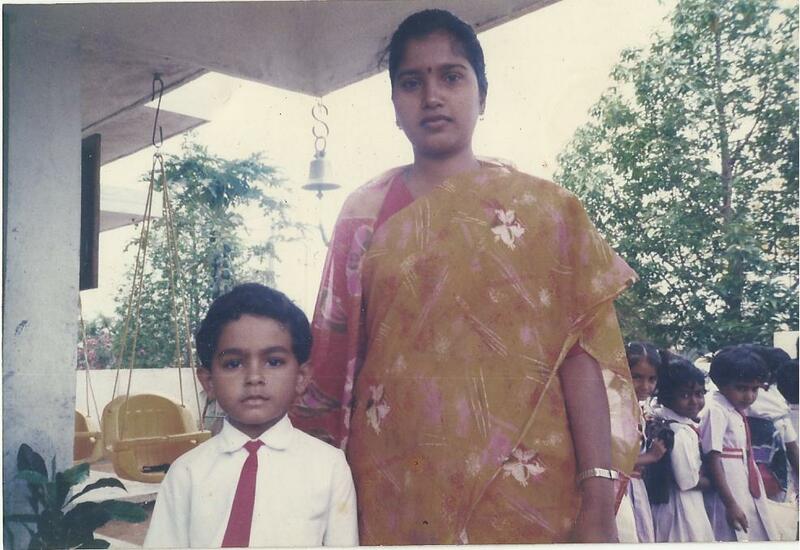 It goes to the school days when he was in First standard. When I sent him school, I had told him few guidelines he has follow before he begins to learn and score marks in tests or exams. These were the few morals along with others which I would tell him to follow. Scoring marks or topping the class did not matter much to me because not all children are made to stand first in the class. If he had it in him he would do it on his own. But the good behavior and principles can be adopted by every child. On most of the days we would walk to school and on way he would ask me questions I would answer him patiently no matter what topic he picked up. I am not sure whether it is the morals we taught him, or there was something absolutely good inside Rayyan, he turned out to be a gem of person. There is not a single person he has come to know who can tell that he has hurt them in any way or said hurtful things to them. In every school and college he attended, though not the topper, he was loved by his teachers for his good behavior and respect he showed for them. Some incidences stand out in my memory and make me feel proud as a mom. Once Rayyan was down with fever and could not attend class for few days. The monthly test was round the corner. The tired boy could not study much but I let him write the test. I told him not to bother about the marks. The class teacher who saw the tired child, who was her pet in the class, she decided to help a bit. She told him the answers and spellings of the “Fill in the blanks”. To her amazement Rayyan refused to write what she told him and told her that he will write what he knows because his Mom had told him to do so. He said she had assured him that marks do not matter much. The teacher was both shocked and impressed at the same time. I summoned to the school the next day. The teacher told me exactly what happened and how much she felt touched by not only Rayyan’s honesty but his trust in his mother’s words. She was worried that it would be difficult for the child to compete and survive in the world that did not follow those morals or principles anymore. She asked me to make him a bit of rough and tough for his own good. 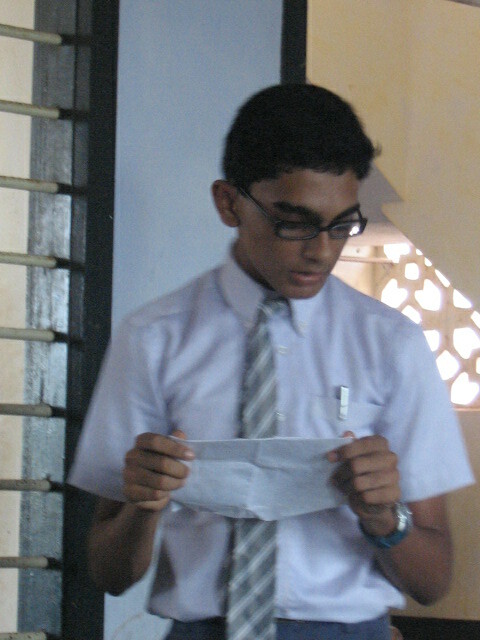 I felt proud of my child and it was really touching that his teacher had tears in her eyes when she was talking to me. I could understand her concern because there was some truth in what she said. I also realized that children need to be assured that you will accept them for what they are, so that they will not be under pressure to reach the goal by hook or crook methods. The single event had taught me more lessons about bringing up a child than hundreds of books I read on parenting. Rayyan could not pass the monthly test that term, but I knew my boy had done the right thing. For me he was the winner. For the trust Rayyan placed in my words, I promised myself that I am going to accept him for whatever he is forever in my life without forcing him live my dreams for me. With the unquestioning trust children place on you, there comes a great responsibility where you cannot fail them. 16 years down the lane, I have kept that promise. It has also helped me in accepting my special needs daughter for what she is. With acceptance of our children for what they are comes a great joy of parenthood. Rayyan followed the rules of school and respected his teachers throughout his school days. When he was studying in TEMS Gangolli, I was on a casual visit to his school. His administrator proudly told me that he could pick up Rayyan among all the school children, because he always followed the rule of keeping the hands behind the back when they walk in school. None of the children followed that rule unless they found him watching them. Though Rayyan was mildly dyslexic and had trouble with his languages and spellings, he was always loved by his teachers for what he was. Today, a young man of 21, Rayyan still follows the rules. He has found his career in animation and has been doing great with his new found passion. The short movies, his comics and other work reflect his personality and his way of life. Honesty, Kindness, Compassion, Respect and Integrity have blended into his everyday life naturally. Being a good and obedient student was just the first step he took. He went to be a very helpful and lovable son, an adorable brother, a loving nephew, a very attentive grandson and trustworthy friends. He has been a blessing in life as without him it would have been tough to manage my special needs daughter and also my own cancer. He is my proud achievement and Medal of Honor! 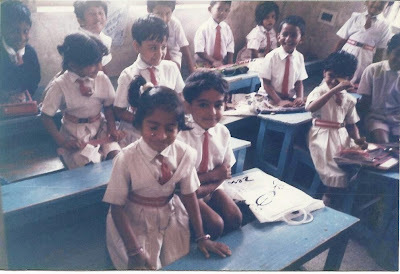 I am sharing my Do RIght Stories at BlogAdda.com in association with Tata Capital. Indeed, anyone would be proud to have a son and a friend like that!! Wonderful, Farida! What a lovely post Farida! You have every right to be proud of Rayyan. He does sound like an admirable young man. Kudos to you too for your parenting. You never burdened him with the pointless demands people dump on their kids while forgetting what is truly important. I think this post is one of the best blog post because i have never read before this type of informative, motivating as well as educative post. Amazing post we have to be proud of your son. Rayyan such a good son and student. Online homework service visit here. Well I would like to share something about true friendship, a true friend is those when you are in trouble, he or she helps you to get out from it. Amazing post dude! You have cleared my whole confusion on short term loans. I thought that these loans have high interest rates, thanks to you to guide me on how to borrow them on competitive prices. Excellent and useful blog admin.